Knowing that I will be attending a food tasting event with the Sheen Bloggers, I skipped my lunch to reserve my empty tummy for dinner at Trattoria! Hehehe. 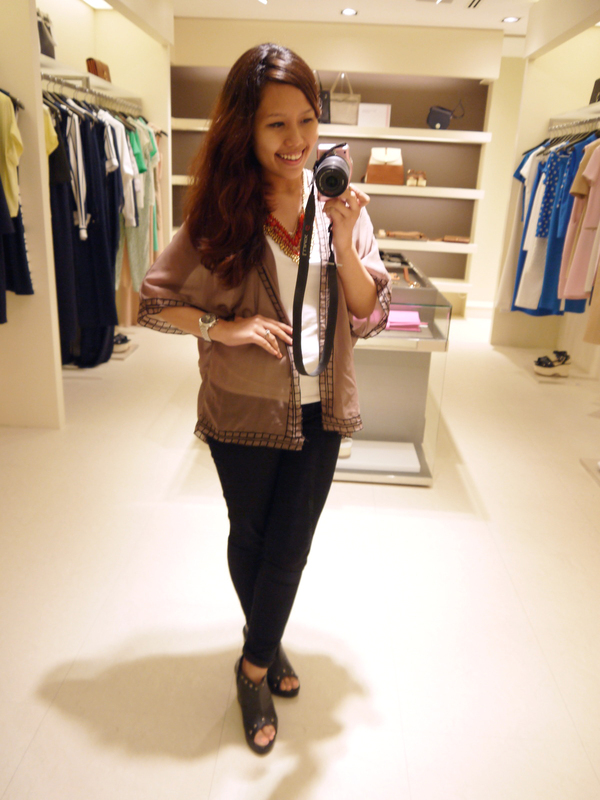 Here's the outfit I wore for the food tasting event. Umm yup, awkward pose right there. HAHA. So here we are at Trattoria Gallo D'oro! We all had trouble locating this place! lol. Poor Jacelyn walked in her heels when locating the restaurant! 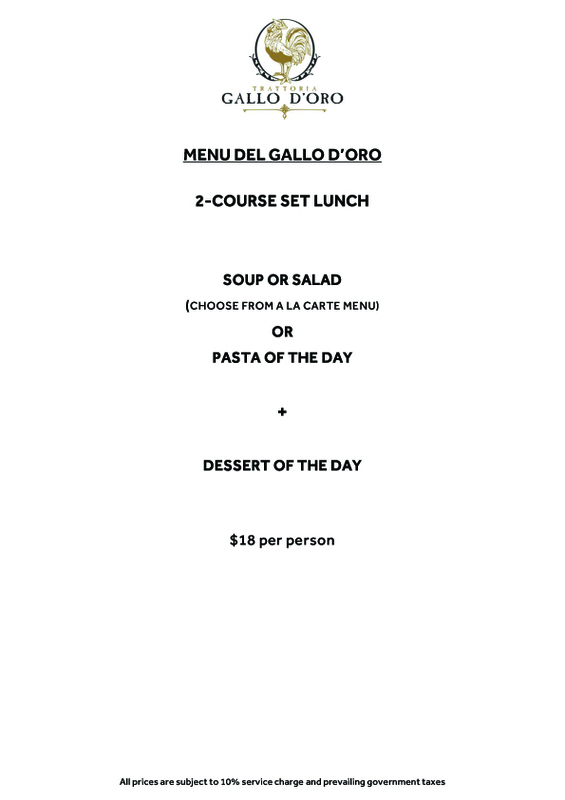 Trattoria Gallo D’Oro (The Golden Rooster), by master chef Carlo Marengoni, aims to make a wholesome name for itself by promoting and upholding the noble notion of sharing homestyle northern Italian cuisine... in a classic Italian way. I must agree with him for that! Drinks were served as soon as we got seated. 10 points for the waiters efficiency! There's once I waited 20 minutes for my drinks to be served and I am not kidding you. My mum was so pissed and told the waiter off. HAHA. 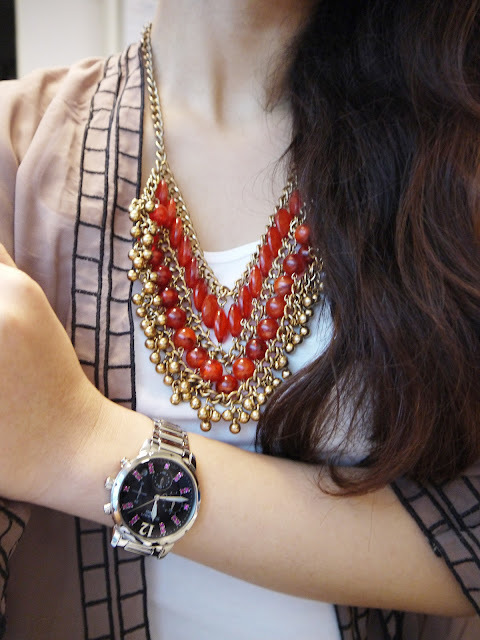 Partly because she was already choking on her Tom Yum soup and our drinks were yet to arrive. While the girls had champagne for the night, I opted for orange juice. In the word of Chef Carlo, “you can now visit Italy without visiting Italy”. Partly also for it is often traditional home cooking which defines the personality of Italian cuisine and culture. We were served with the appetizers first. Not a fan of Buffalo cheese but I love its gooey texture though. Very very addictive. Crispy on the outside, soft on the inside. The taste of this Sardine fritte reminds me of the Fish Crackers. I don't mind swapping popcorns for these! Hah. I'm serious! Not sure about all of you, but this is my first time trying this out. Juicy beef with mozzarella stuffing. Very unique indeed. And here comes my most favorite part. The dessert which I highly recommend to all you sweet tooth lovers! Running out of words to describe how good this cake tastes! It has a slight lemony flavor. I love it! Us being us, showing off our sponsored Casio Sheen watch. Awkward moment for Chef Carlo. Hahaha. Pic below credits to Claire! I'd come down and visit Chef Carlo again for his delicious cooking. Especially his grandma's custard cake. 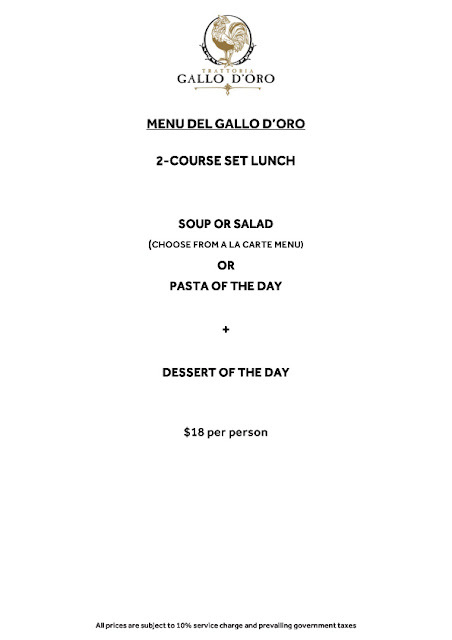 Enjoy a delicious 2 Course Set Lunch at only $18/ Person*! Are you craving for the scrumptious Italian food already? Then pop by their restaurant at the following address! **Do take note that the restaurant is not located at The Central but is actually located at Central Mall. Yes. It is 2 different malls with almost similar names. Don't get yourself confused! Cause the girls and I actually got confused between those 2 malls and we ended up losing our way. LOL.